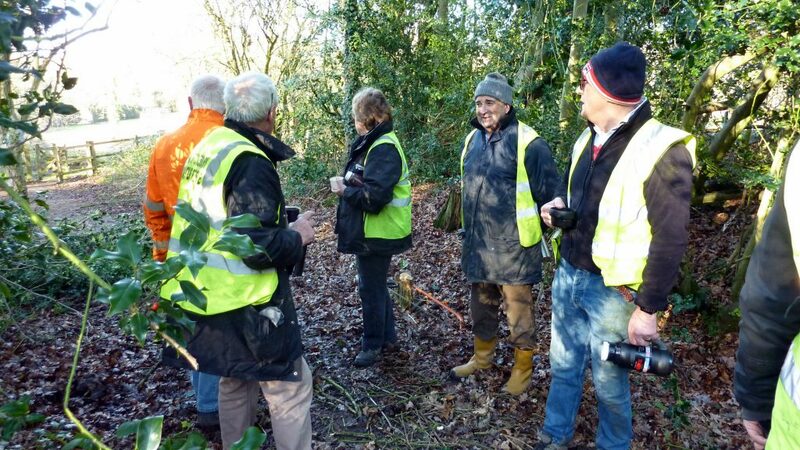 We had an excellent turnout of 12 volunteers, plus Chris James from WHBC. 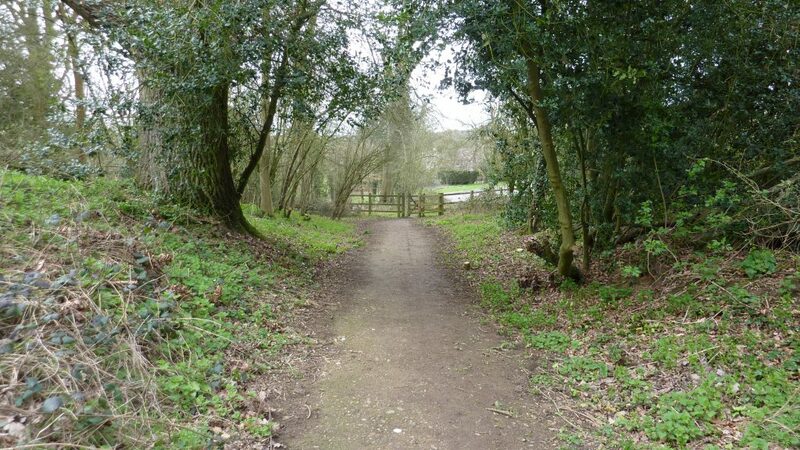 The winds were always high, at about 45 mph, but the dell provides good protection. 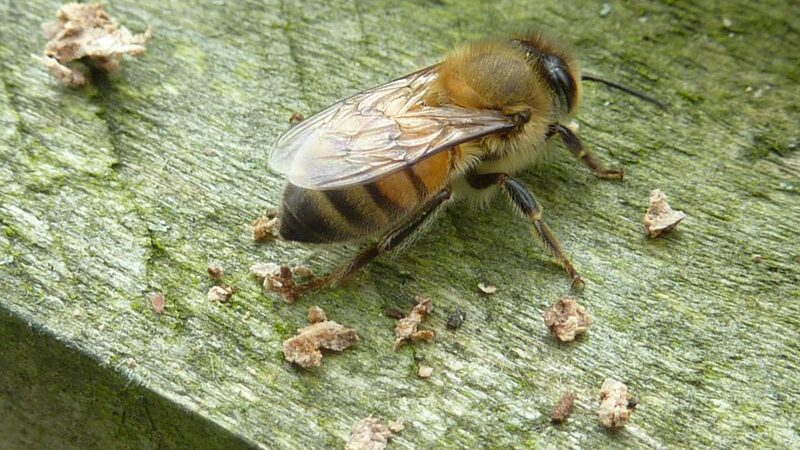 Hilary was busy watering before the rain started in a short but heavy burst, conveniently at the moment we took our elevenses break. 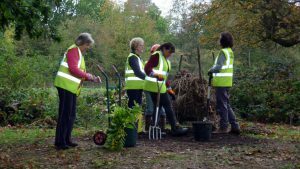 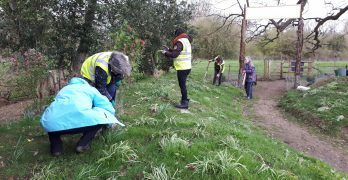 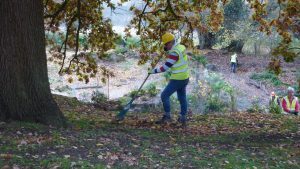 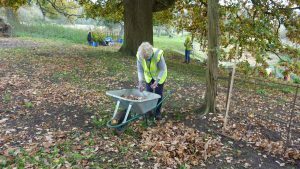 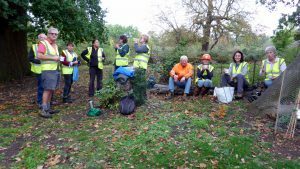 The volunteers were well protected by the oak tree at Fernery HQ and the rain stopped as soon as we were ready to continue. 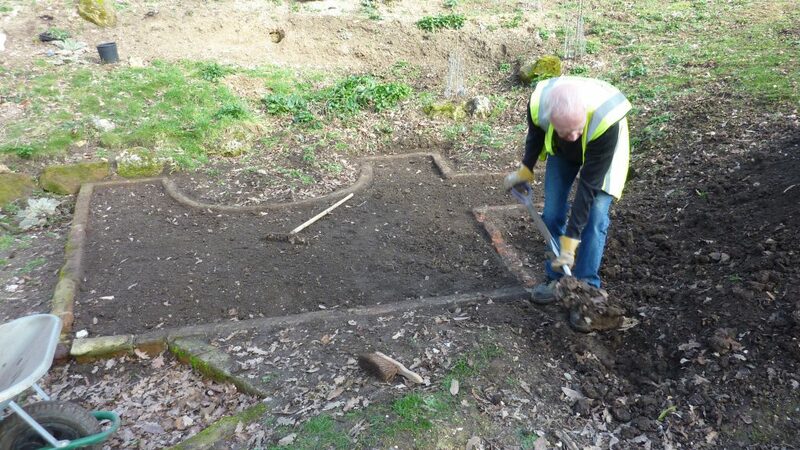 The main activity on site was the re-profiling of the Parsons Bed, undertaken by Mark of Maydencroft with his mechanical digger, under Sarah’s watchful eye. 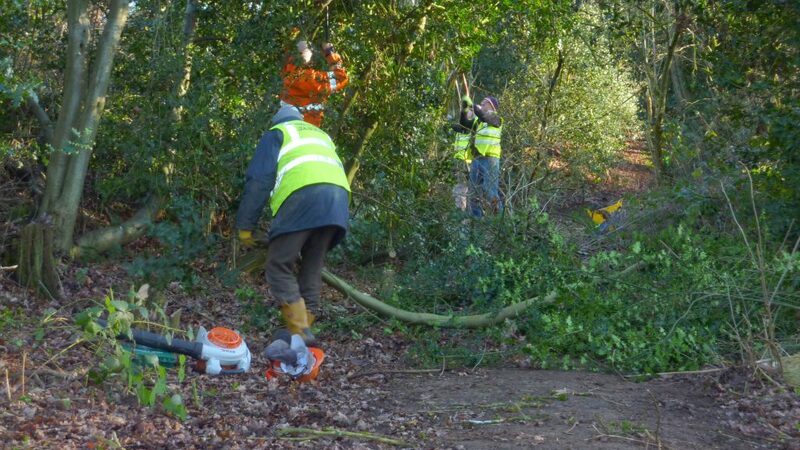 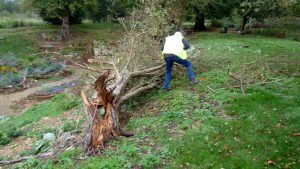 Harry and Alan had to work to clear the branches of the Laurel Tree on the Southern path which had split in the high winds and were blocking the path that Mark needed to bring his digger round. 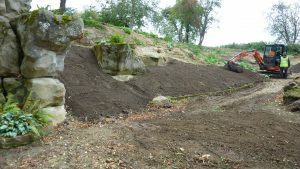 During the re-profiling of the Parsons Bed, it was decided to merge it into the lower drop of the Gorge, making one large bed. 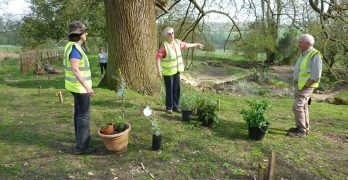 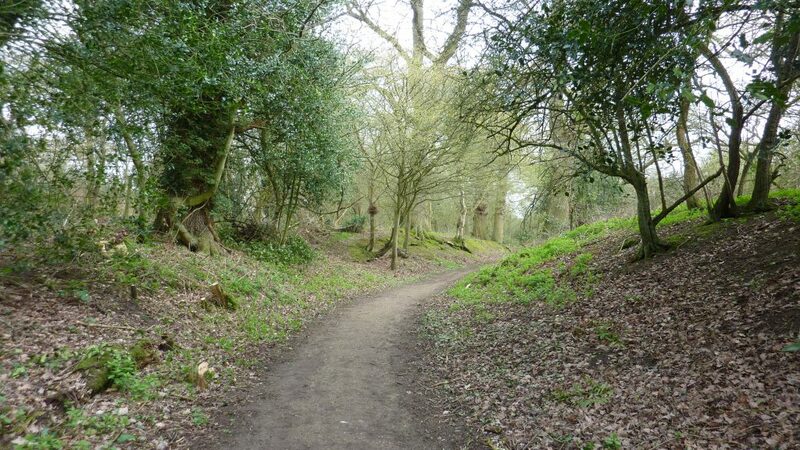 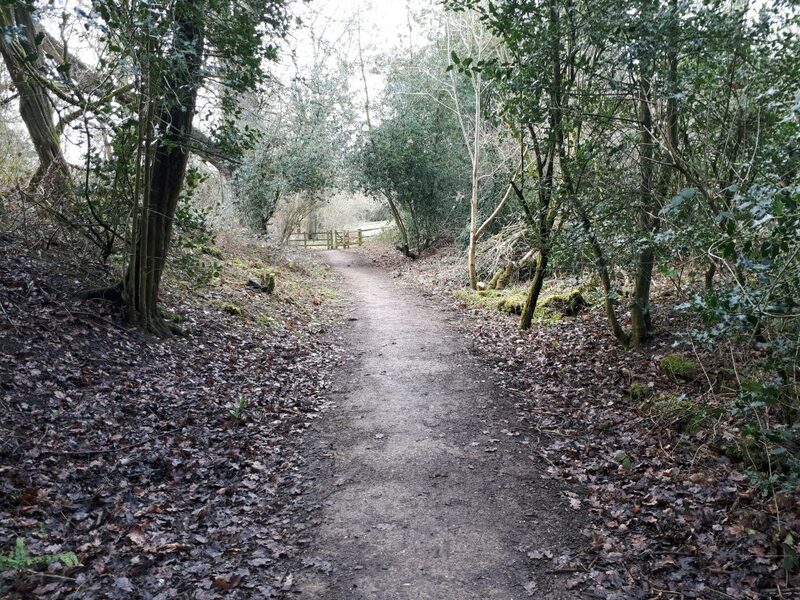 Sarah plans to plant up the Gorge with bluebells and other light coloured plants to give the effect of a water drop. 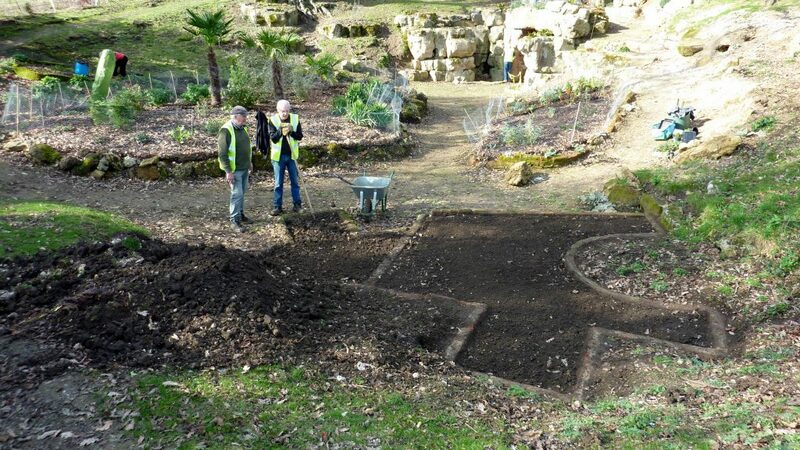 Record photographs were taken of the wall at the southern end of the original bed which has now been covered. 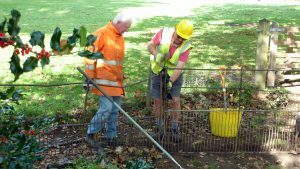 Harry, Alan and Colin worked to place rabbit wire around new plants that Sarah had brought to the site, including two specimen Hydrangeas that Hilary and Harry had been carefully storing at their home. 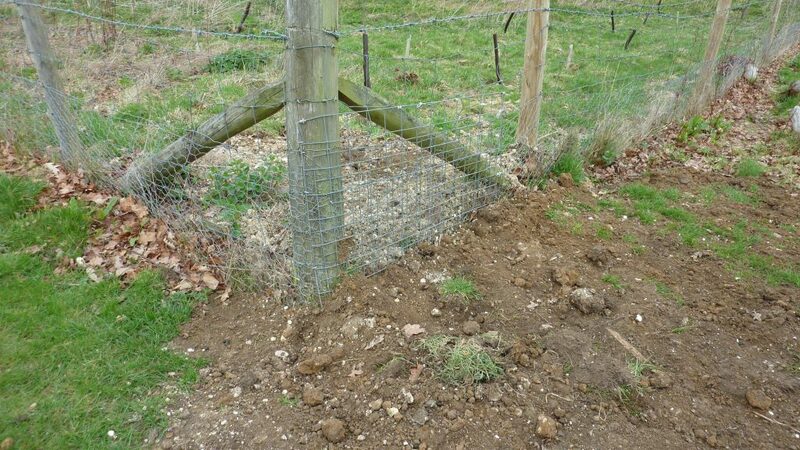 Other plants around the site needed repair and improvements to the existing wire protection. 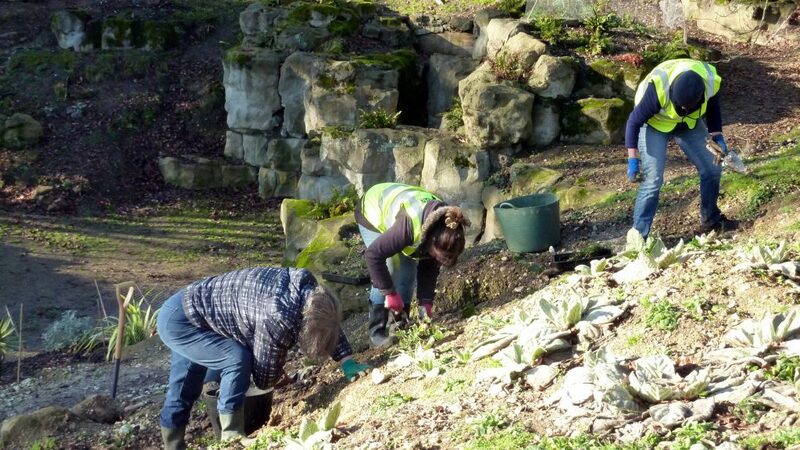 Branches from the fallen Laurel were cut and loaded into the composting bins, and plants brought along by Sarah were planted in the bank above the Top Path. 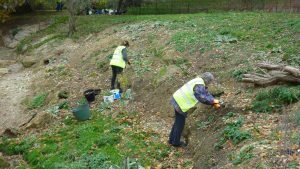 This was hard work for Sara, Nina and Jenny, as the ground at that point had never previously been cultivated and was hard as the rock underneath. 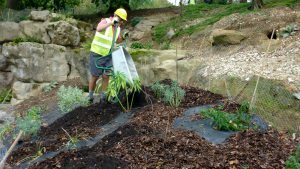 These new bedding areas on the Top Path will require careful watering attention. 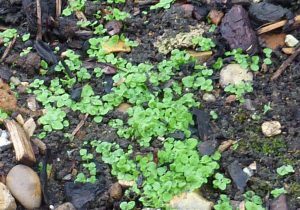 In the May Bed, Sarah has sown Hollyhock seeds, and these are beginning to show. 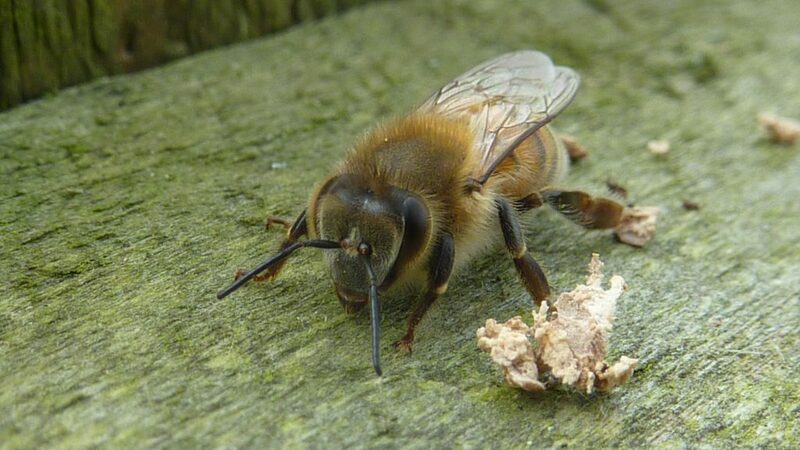 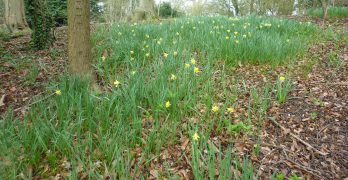 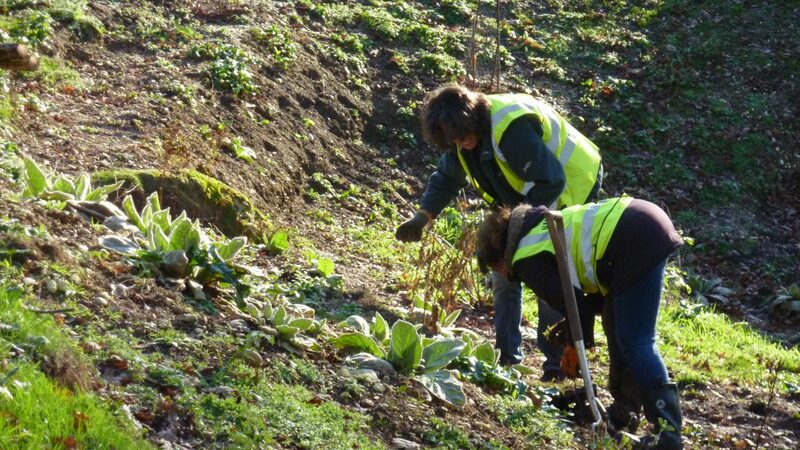 Care will need to be taken by gardeners not to weed these new plants as they develop. 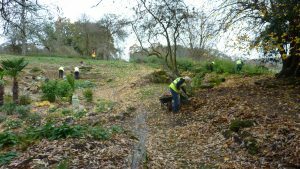 On another day that started with light rain but quickly cleared up, it was decided to focus work in the Fernery Garden, and not to attempt to operate a second scrub-bashing group in the Park Field. 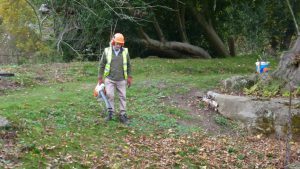 The following is based on a Report from Andrew Beattie who directed the work. 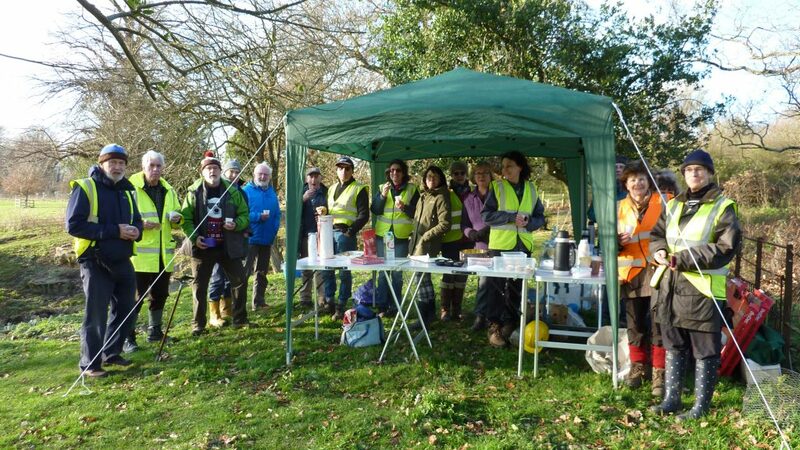 We had an excellent turnout, which included one first time volunteer, and two expected visitors from the Hertfordshire Metal Detecting Society. 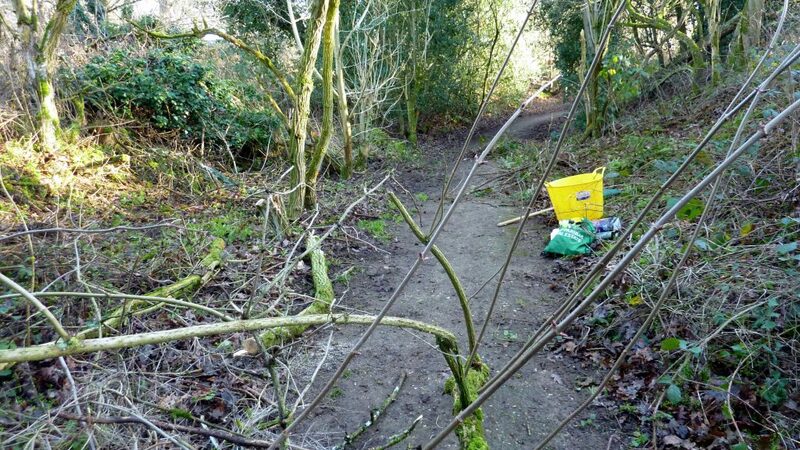 Fortunately early-arriving volunteers managed to clear up some school-holiday litter before the arrival of visitors. 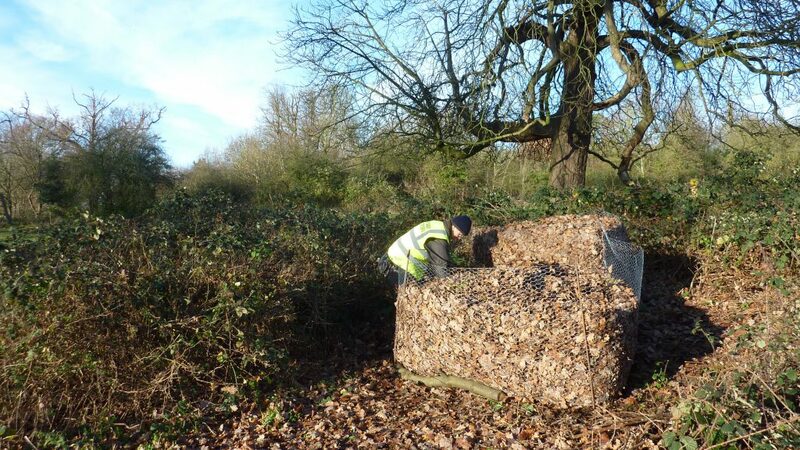 Composting – the prime purpose was to tidy up the composting site which included the cutting back of bramble trailers to allow access later this year when leaf collection starts in earnest. 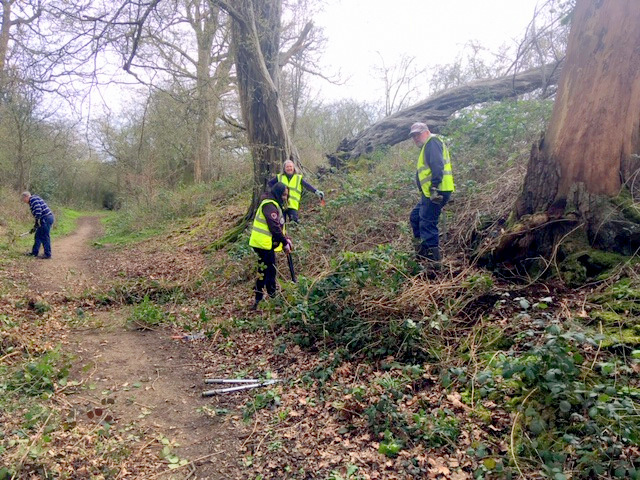 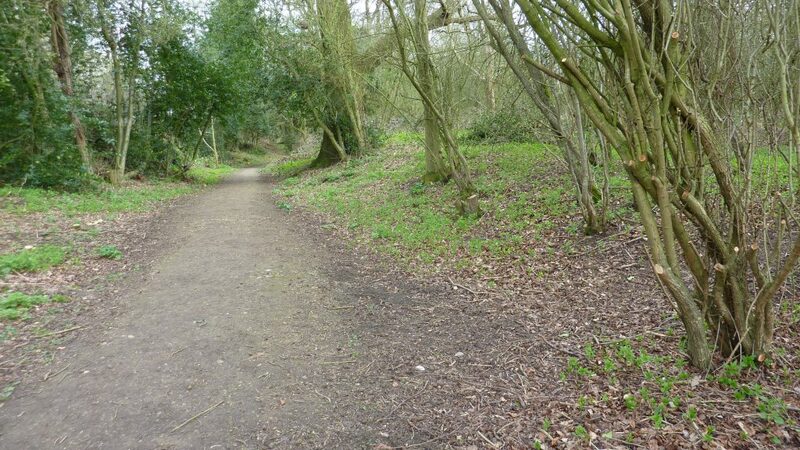 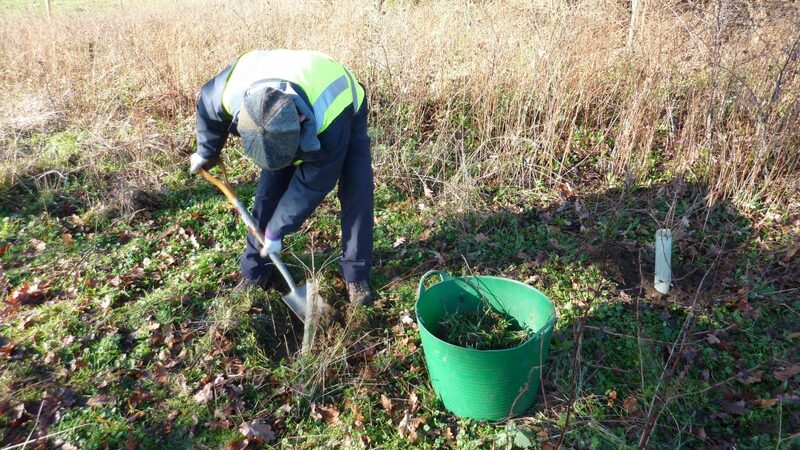 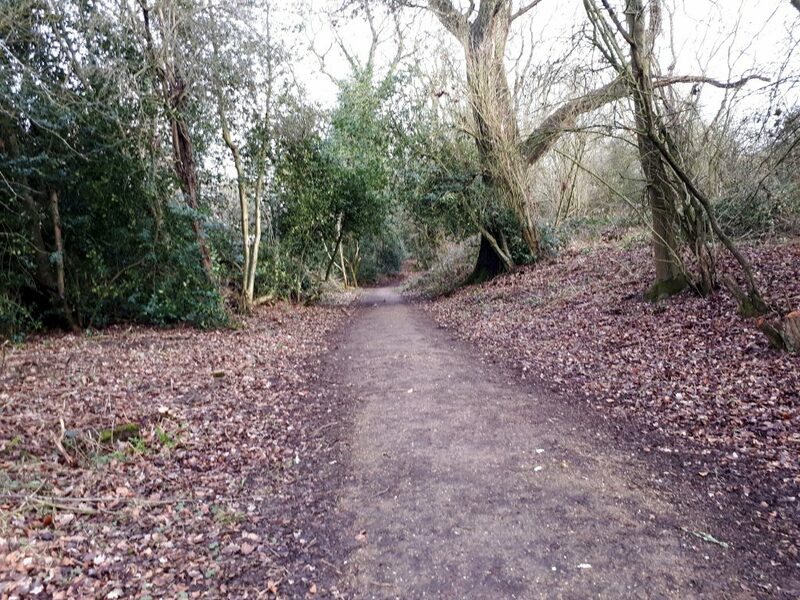 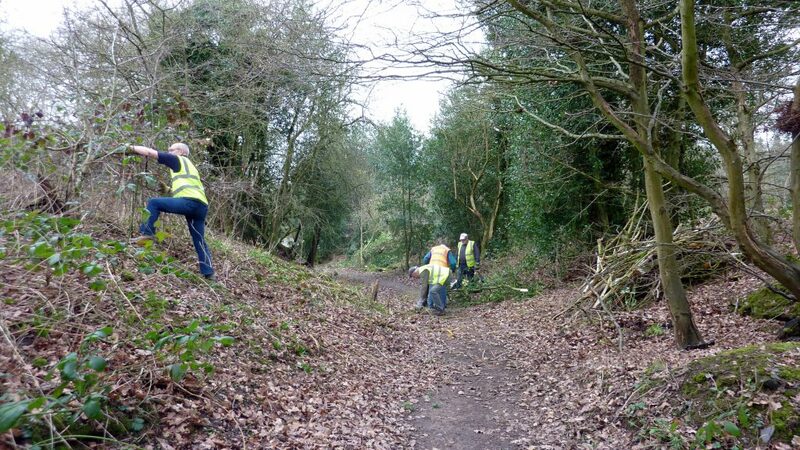 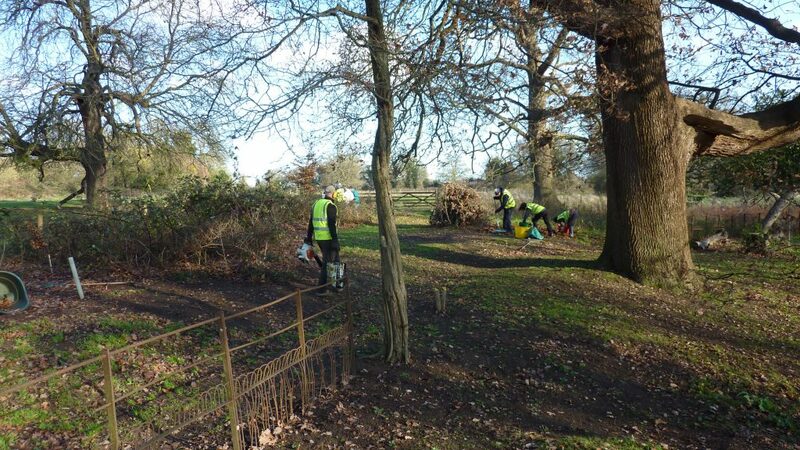 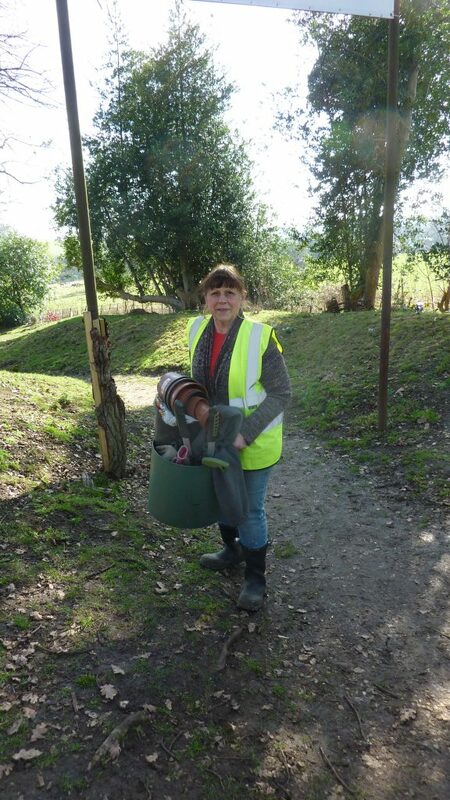 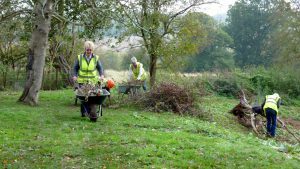 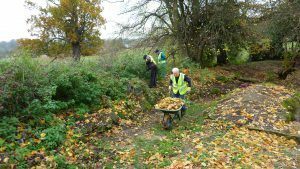 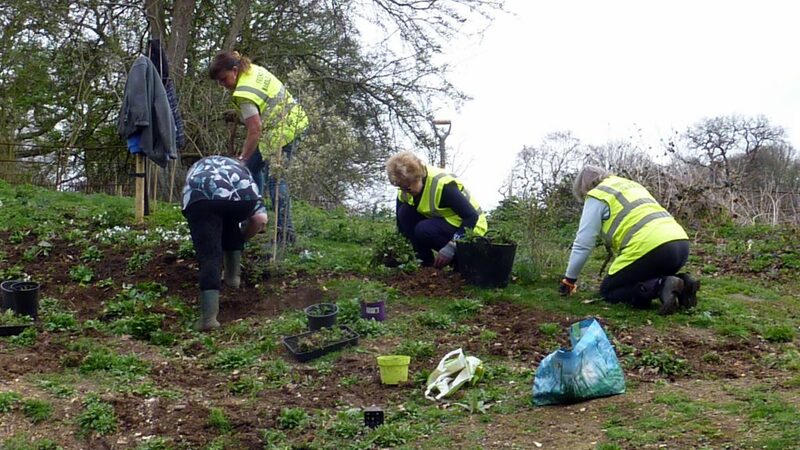 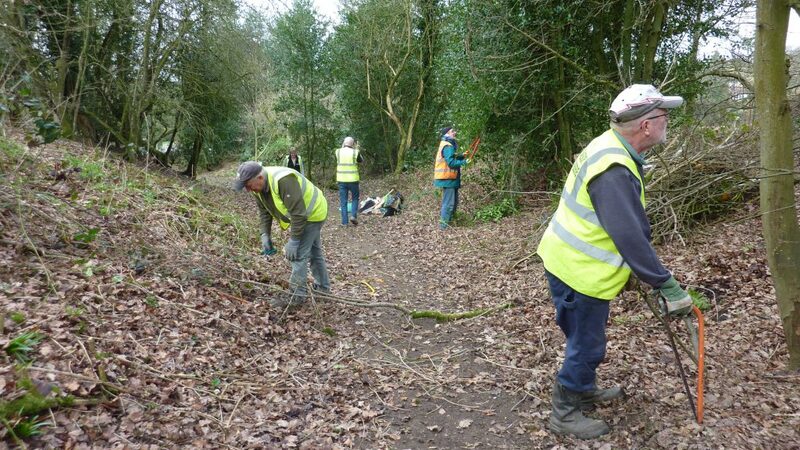 Weeding – weeds that needed pulling, were pulled, and much of the scrub behind the grass banks was cleared. 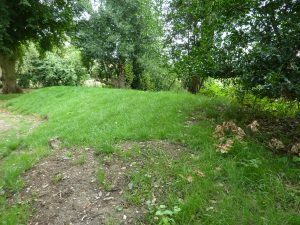 The grass banks on the Southern side near the Entrance have greened up very well. 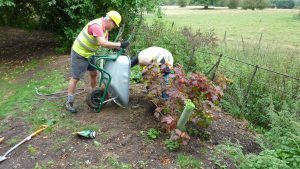 Watering – this task was not needed. 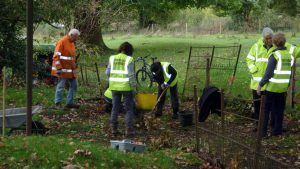 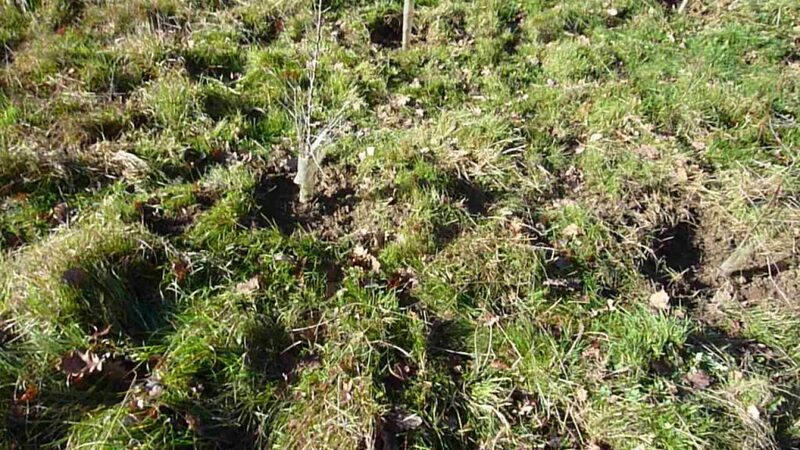 Tree Planting – a fine young Oak was planted in the North Eastern corner that in the years to come will provide welcome shade in the early summer months. 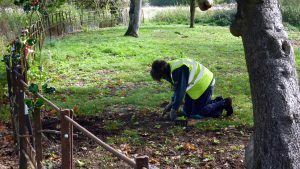 We welcomed Cathy and Mike from the Hertfordshire Metal Detecting Society, who made a preliminary survey of the field to the West of the Entrance, up to the roadway. 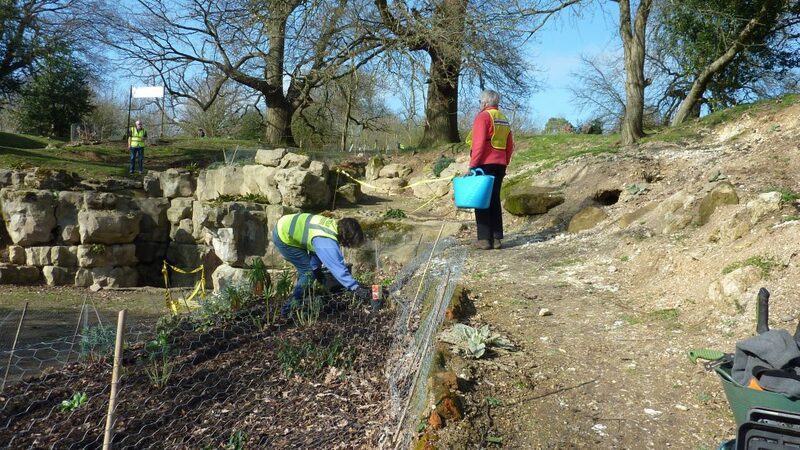 They were able to confirm the position of the irrigation pipes discovered by Maydencroft in May/June. 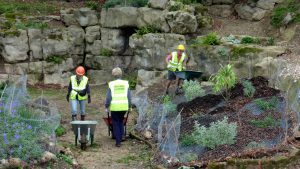 They also surveyed the course of the pipes within the Fernery itself that Harry had mapped out preparatory to the 2018 Open Day. 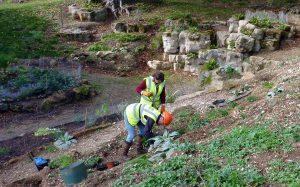 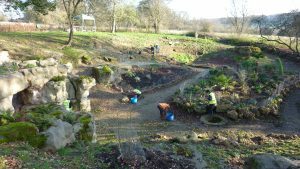 It is very much hoped that Cathy and Mike will join us on a regular basis so that an authoritative plan of the pipework in the Fernery can be plotted, and an accurate record maintained of any artifacts that are discovered along the way. 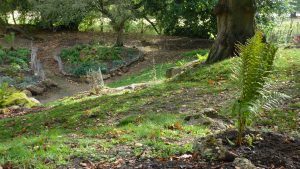 It is being proposed that we open a Column on the website to record any such findings if these outline plans reach fruition. 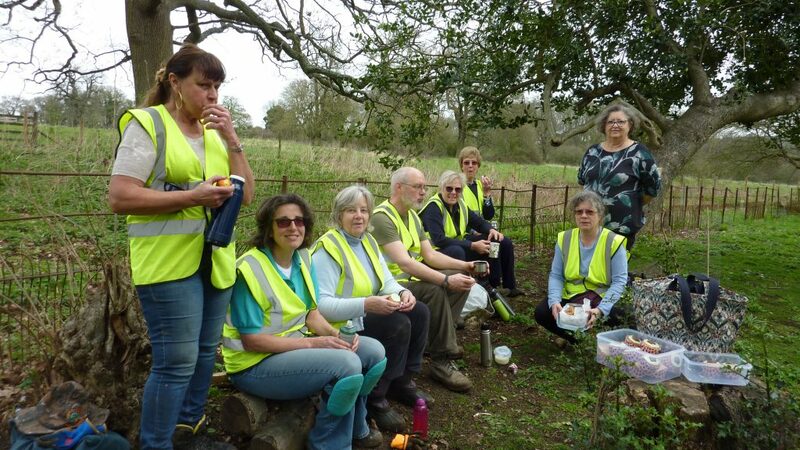 At Team Pre-Briefing Andrew advised members that the Friends Committee had decided that we should hold a meeting of all ‘working’ volunteers so that we can address and discuss issues that have arisen since we formally established our FOD Constitution in February 2017. 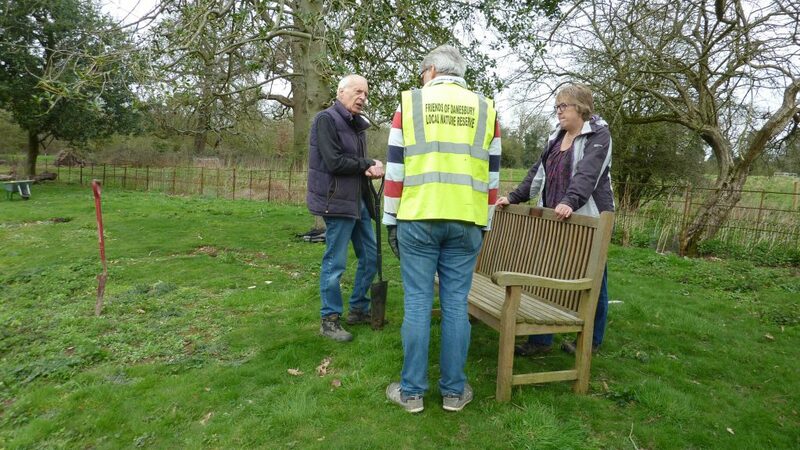 Secretary Harry Ward will circulate a Notice to working volunteers to establish the most popular time and place for a meeting, following which an Agenda will be produced. 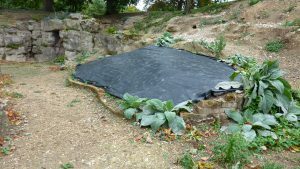 Issues that need addressing include production of a Priority List for allocating funds which are accumulating quite healthily. 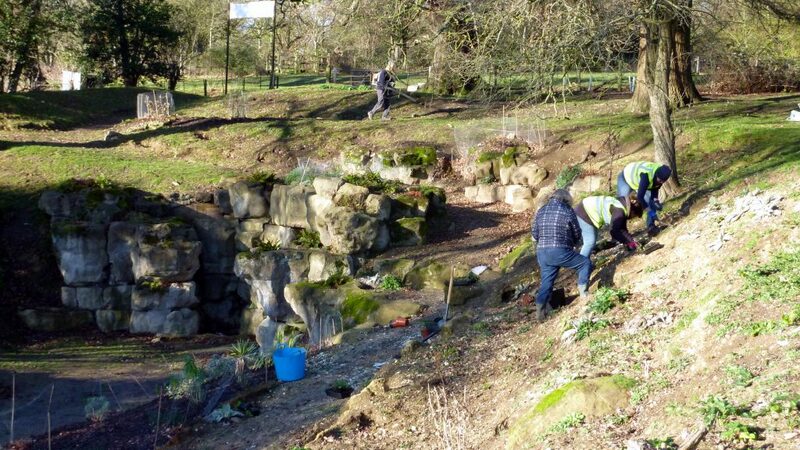 Priorities will need to be set to cover, for example, the costs of further planting and garden maintenance, the purchase and replacement (where required) of tools and equipment, and production of short/medium, and long term plans for restoring and replacing site fixtures such as the Entrance Gateway, Fernery fencing, and the commissioning of the design and construction of a Bridge over the Gorge. 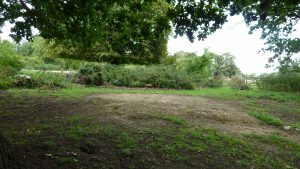 We will also have to address the developing need to establish our own banking arrangements as we are becoming more and more active, and Danesbury Residents Association’s generous offer to share their banking arrangements with us, are no longer appropriate, as will be explained. 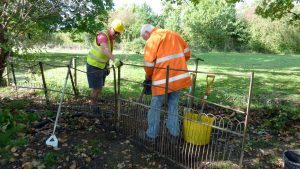 Maydencroft are currently scheduled to have a mechanical digger on site to start the process of re-profiling the Parson’s Bed. 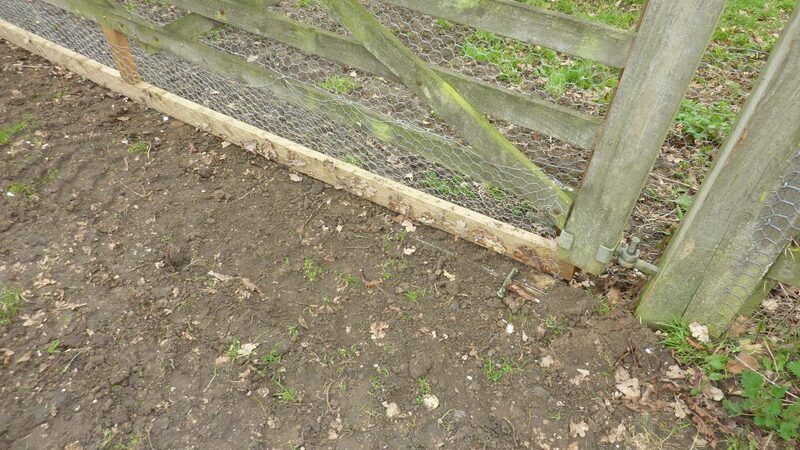 This will need careful planning for obvious H&S reasons. 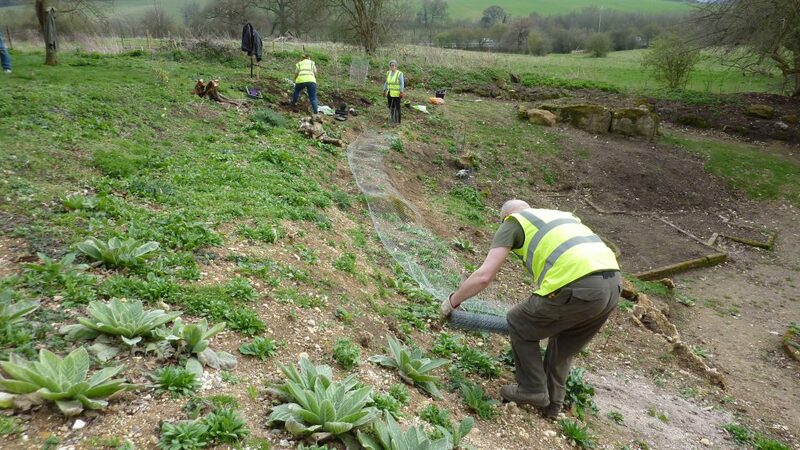 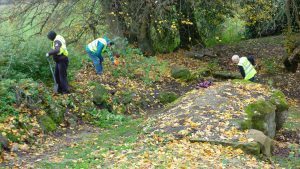 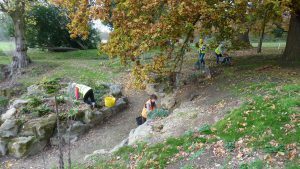 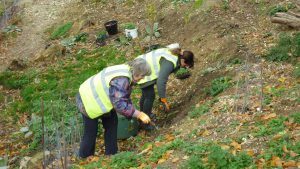 But volunteers will be asked to help remove the weed suppressing membrane immediately in advance of 20th September, and to be on hand on the day to stack the topsoils as they are dumped at the North end of the site for later restoration of the Pulhamite Outcrop. 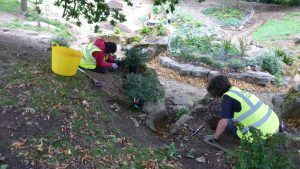 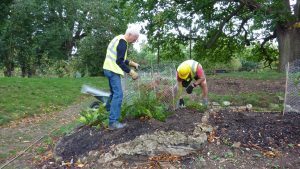 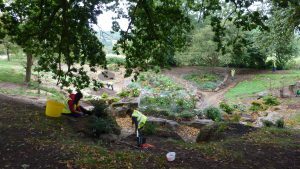 It has once again been proposed that volunteers might wish to form ad hoc Thursday morning work parties, particularly when we are in ‘catch-up’ mode due to bad weather, or we have to prepare for major tasks such as the Big Plant Up, currently scheduled for October 18th. 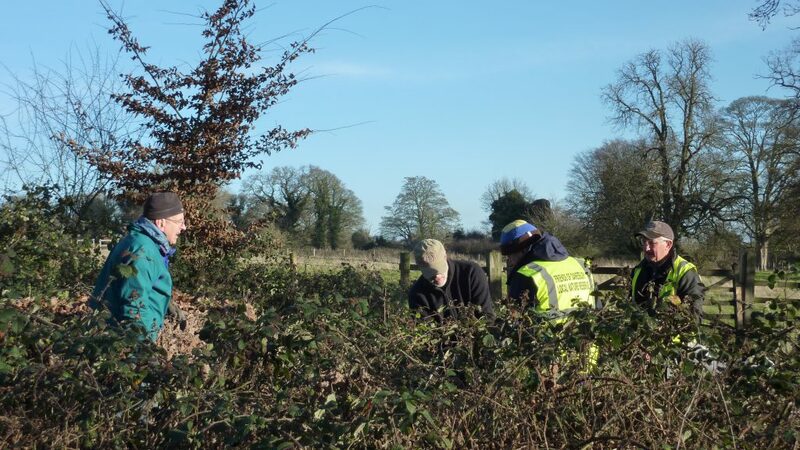 The Borough Council have agreed to ad hoc meetings in the past, provided we go through the proper process of putting Chris James on Notice, preparing and agreeing a Risk Assessment in advance, and have an authorised Leader and First Aider present. 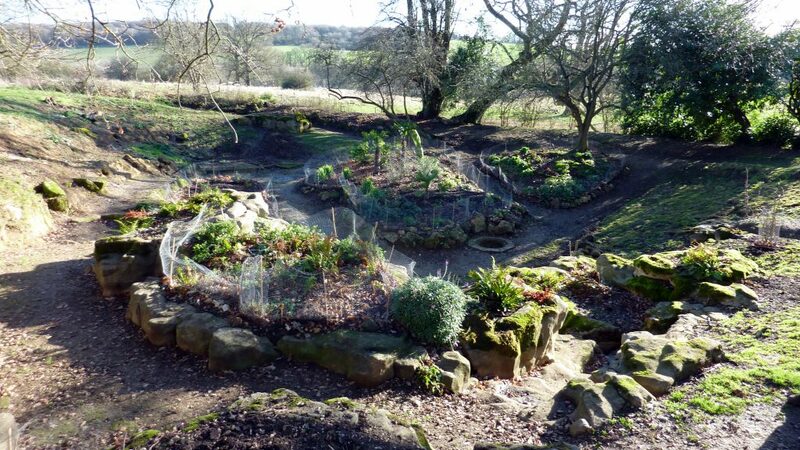 However, Chris has agreed in principle that we should not need to go through this formality if we are undertaking straight gardening work in the Fernery, but that in all instances she must be told of our plans in advance. 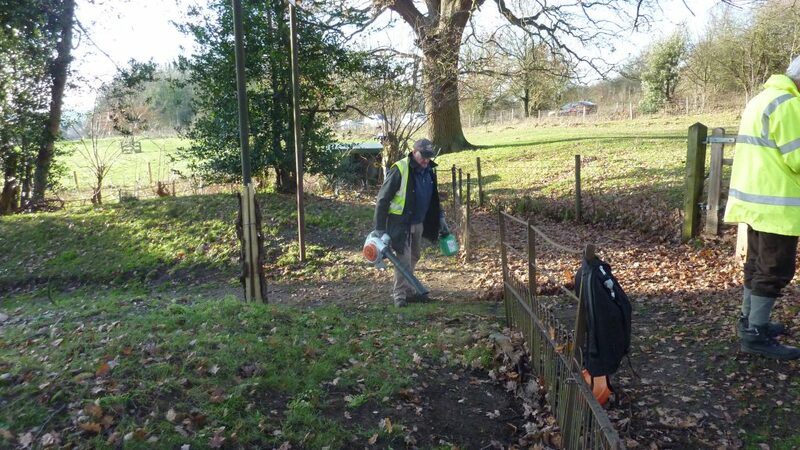 We are also to ensure that at all times at least 2 members are present to provide security. 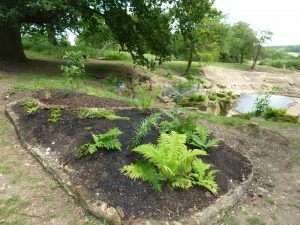 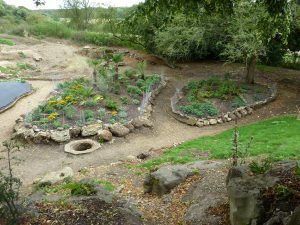 The WhatsApp Fernery Gardening Group is providing a valuable tool for making informal planning arrangements, so if you are not already a member of this Group please contact John who is the administrator. 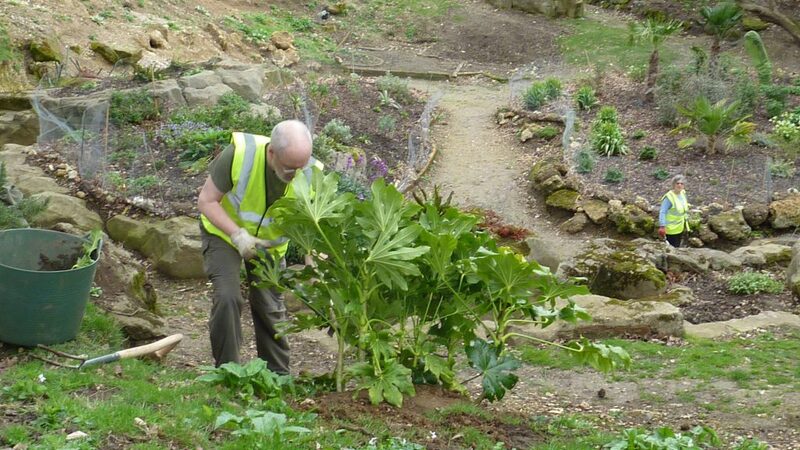 Otherwise, please keep your eyes on the website Calendar even though this cannot be relied on to be up-to-date.